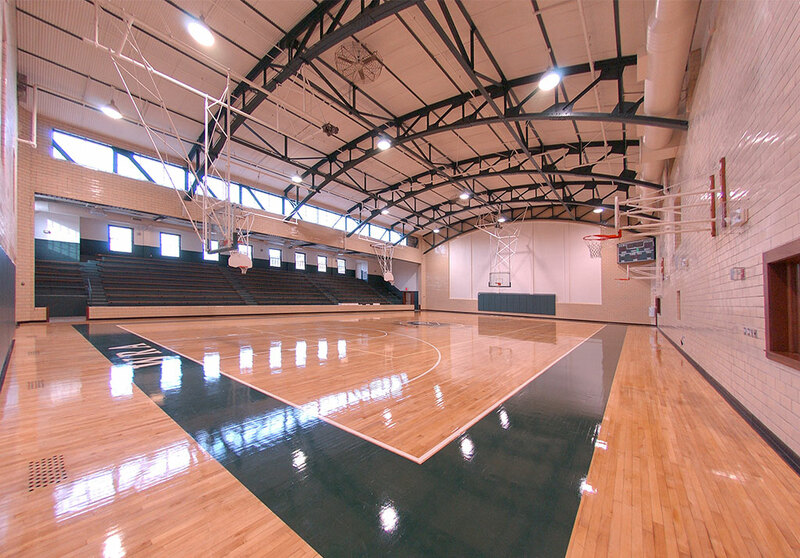 Murdough Athletic Center - PRIME AE Group, Inc.
Western Reserve Academy is located in the Historic District of Hudson, OH, and the 54-building campus is on the National Register of Historic Places. The existing 50,000 SF facility was upgraded and expanded to approximately 140,000 SF. The new building exemplifies the historic feel of the campus and is visually consistent with the campus and surrounding community. The addition features a state-of-the-art field house and competition gymnasium prominently located adjacent to the wood-paneled main entry lobby. 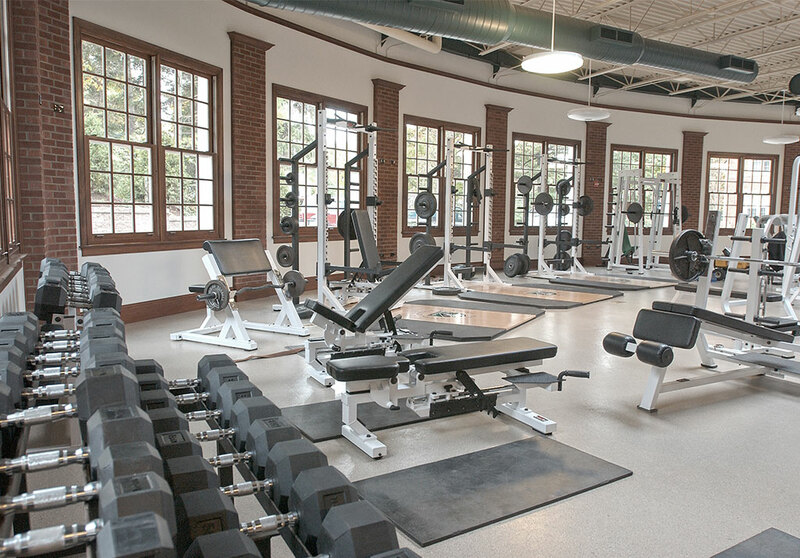 Supporting the field house, new locker rooms were created to serve both the building occupants and outdoor athletics. 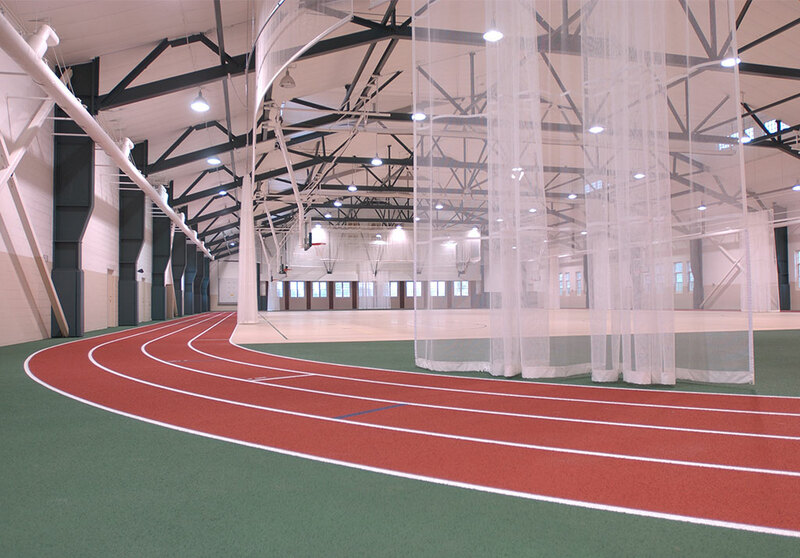 Other functions of the building expansion include classrooms, athletic offices, and a modern training facility.